Four years ago today, I took my first baby step out of the world of science—which I had so convinced myself would be my world until the end of time—into a world of literature and writing. 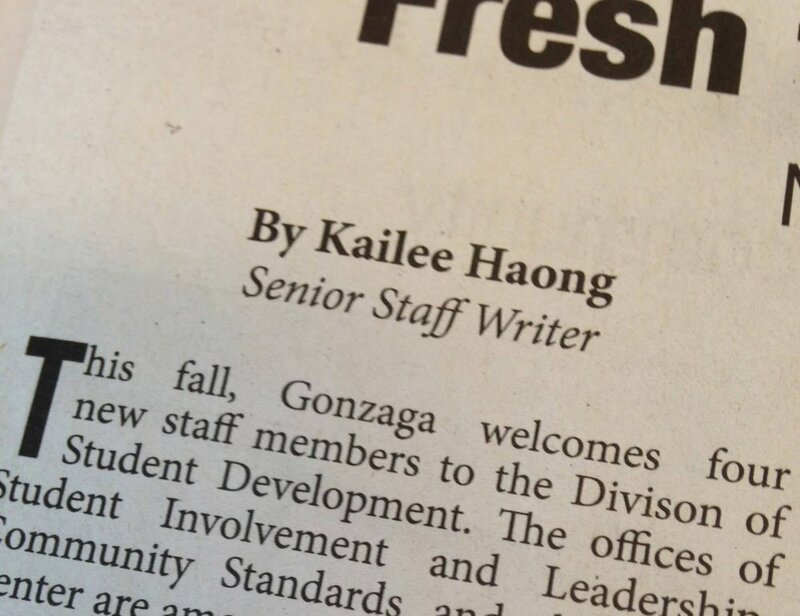 I joined my undergraduate school newspaper as a lowly staff writer. I had never written newspaper articles before. I had no idea what I was doing. I started out writing the leftovers—IT Department Updates Wifi, Cafeteria Adopts Fresh Food Program—you know, those kinds of stories. The quick, 500-word "updates" that no one really reads or pays any mind to. But I was excited. Each time I got to see my name in print, it ignited some kind of passion in me that writing—no matter my audience—is what I needed to be doing. I slowly ascended the ranks of the newspaper. I became a senior staff writer, then a news editor, then an arts & entertainment editor, until my senior year when I had two incredible jobs to balance: Head arts & entertainment editor, and the editor-in-chief of "Our Voices," the journal on diversity. These two positions dominated my senior year in the best way. I got to write, read, and showcase others' talents in my publications. It was incredible. I was on a writing and editing high. And then? I got the acceptance letter to Eastern's Master of Fine Arts program in Creative Writing. Game changer. Everything was a shock to me, but in the same beat it felt perfectly normal and absolutely right. I started college taking standard biology, chemistry, and math courses. 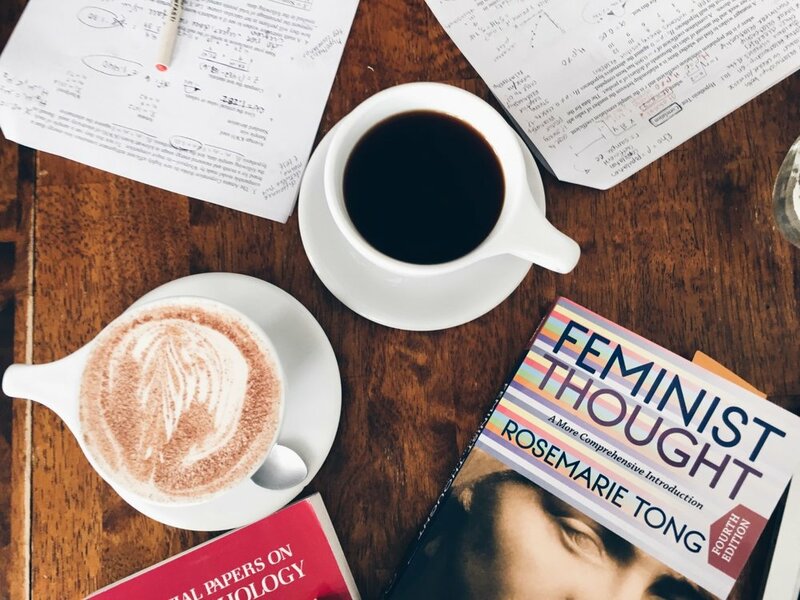 I ended with courses like critical thought, feminist thought, creative writing—courses that changed how I think, helped me understand why I think that way, and how to put those thoughts on paper. I am so grateful and indebted to my professors for this knowledge. I'm not writing this summary of my accolades to be braggadocios by any means. I'm writing it because in that simple action of joining the school paper four years ago, I set myself on the track I needed to be to end up here, today. I have four short stories published in three local Spokane anthologies, I'm teaching an awesome spread of texts to my intro to literature students in Cheney, I'm writing things that make me proud of myself, and I'm reading some wonderful, inspiring books that keep me pointed in the right direction. Writing is not easy. Creating is not easy. But when you print out your x amount of pages that you've spent weeks toiling over, reading and re-reading, editing, and revising, it is an unparalleled feeling. I know there's so much more to come, and that I'm just a baby-writer right now, but I'm so excited for whatever lies down the road. Thanks for sticking with me on this blog I never use. Hey, there! This blog is just a random pooling of my thoughts, ideas, and other random things that float through my head. Angry rants? Probably. Sappy personal life details? Most likely. Boring politically-charged articles? For sure.